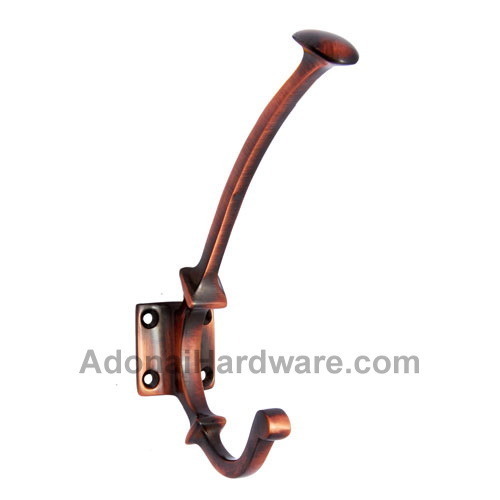 The name inspired from the Book of Genesis Adam means man and which is the root of creation, the "Adam" Brass Hook is the most trendiest yet strongest of the hooks and is going to change your perspectives as per style is concerned. This striking piece is going to become the centre of attraction of your house as soon as it will be implanted. One of the finest creations of the Indian craftsman, this striking piece is not only accomplished in style but also does great the purpose for which is has been created. Made with solid brass and in available in a wide variety of finishes, this is just the one to jazz up your interiors like no other decorative piece.